Nigeria, Switzerland record fifty per cent trade increase – Royal Times of Nigeria. 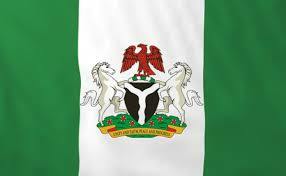 Nigeria and Switzerland have recorded a fifty per cent increase in their bilateral trade as against previous years. This was disclosed in a document obtained by the Europe Correspondent of the News Agency of Nigeria (NAN) today in Bern- Switzerland’s capital city. The increase had resulted in a boost in trade volume to the tune of seven hundred and fifty million US dollars which is in favour of Nigeria. Speaking on the development, Mr Baba Madugu, Nigerian Ambassador to Switzerland, said that the figure accrued from the sale of machinery and oil – accounted for a large percentage of the bilateral trade. Madugu described the move as a positive one while listing Agriculture, Solid Minerals, Infrastructure and Transport as sectors needing investment in the country.